Over the last few months, many people have won Coasters from The Relay. Here’s an update on them! The update is actually pretty short. On Sunday, July the 5th, I shipped out a total of 99 coasters, which means every single coaster that someone won has now shipped! 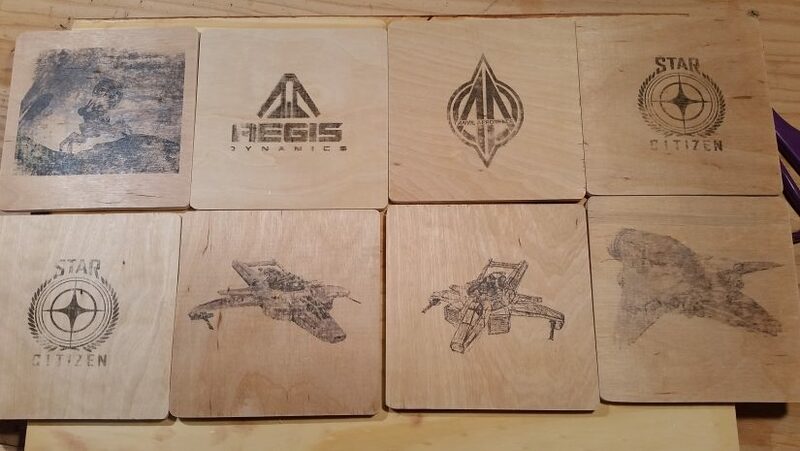 So, if you won a coaster in any of the recent contests, you should get it soon! If you didn’t win, and that makes you sad, don’t worry! I’ll be making more coasters for more contests eventually. If you have no idea what I’m talking about, but want to know what the coasters look like anyway, I’ve put together a handy little imgur album! The pictures aren’t the highest quality, but they were taken at various points during the creation of the coasters. If you think they look cool, and are interested in seeing how I make the coasters, I made a video of me making some!